Having trouble setting goals alone? Check out Soundfly’s Headliners Club to work with a professional Mentor for four weeks to help you set and scale your next musical goals! What are you working on? Those who know me personally know I’m a pretty practical person. I love talking strategy and tactics, giving actionable advice and creating systems. But even I have come to learn that no system or strategy will be successful without the right mindset. It’s a viewpoint I probably wouldn’t have even entertained 5 years ago. But I’ve seen it proven to be true in my life over and over, and in the lives of many successful musicians and business people I respect and trust. And mindset is exponentially more important when it comes to making money. In 2018, I hosted an online event called the Profitable Musician Summit. 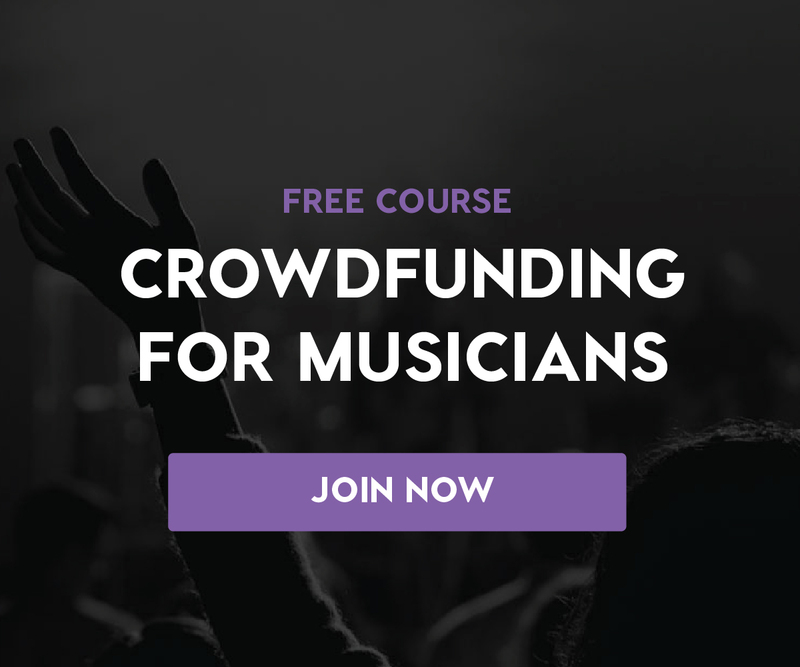 It was a global gathering of musicians and music industry experts where we uncovered a number of income streams for musicians and taught in-depth strategies to help them make the most of these sources of income. Although many musicians took full advantage of the valuable information our experts provided, many did not. A lot of musicians who attended the summit last year are still in the same place they were back then. And here’s why. 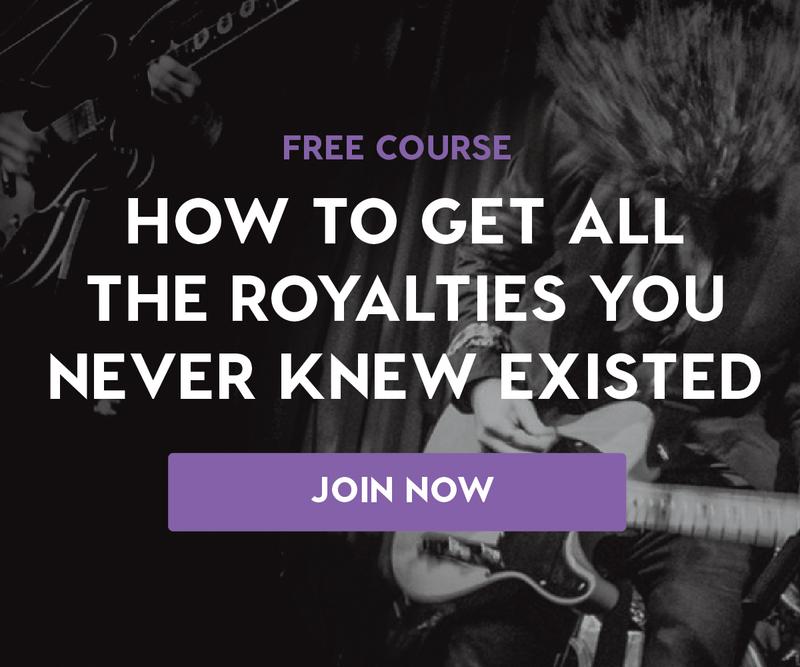 So before you go sign up for this year’s Profitable Musician Summit 2019, I want to help you banish these money blocks once and for all so you can finally take action on what our experts are teaching you. This year, we’ve brought together 33 of the best experts, including sought-after speakers like Cari Cole, Ari Herstand, Graham Cochrane, Ariel Hyatt, Rick Barker, Cheryl B. Engelhardt, and many more. You’ll not only learn about how to make more money from your music, but we’ll give you strategies to help you keep more of what you make. And the best news is that it won’t cost you a dime. Register for the Online Summit here. But in order to make the summit experience both valuable and actionable, you must first identify and conquer your money blocks. So let’s uncover the limiting beliefs you might be holding onto about money and discover ways to overcome them so you can stop blocking wealth and start inviting money into your life. Let’s be honest. We all have beliefs about money that we have formed over years, many of which are unhealthy. These are usually based on things our parents used to say, people we’ve met, our own experiences, books we’ve read, and all kinds of other influences on our psyche. And often, they are deep-seated and subconscious, so we don’t even realize they have hijacked our thoughts and behaviors like a little devil on our shoulder. The hardest part about conquering money blocks is simply just realizing you have these insidious beliefs about money. The first step toward discovering them is to be keenly aware of your attitude and actions whenever the subject of money comes up. Then, instead of just shifting to autopilot like you usually do, really analyze why you feel a certain way, say a specific thing about money, or act in a way that might be sabotaging your ability to make money. The deeply ingrained belief I was fighting was that ”it’s selfish to want to make money.” Once I was aware of this B.S. mental talk, I started to dig deeper into the lives of the people I was inwardly condemning. Turns out that one of them wrote a successful book. From the proceeds, he gives a huge chunk of money to his church. He has become an advocate for giving an uncomfortable percentage to charity, no matter your income. The other person made his money from running a successful business before becoming a professor. He now uses his lavish home to host dinner parties for other professors. He also devotes much of his time advocating for better working conditions and pay for those teaching at private universities. Why did the fact that they had money vilify them in my mind? Because, of course, I was holding onto the limiting belief that “wanting to make money is selfish.” Now that I had some proof to invalidate this belief, I could start doing the internal work necessary to undo the years of damage that belief had done — it was time to rewrite my mental script. My own success was being ruled by, what turned out to be, a misguided idea about monetary justice, and clearing my mind of that limiting belief hasn’t been easy. It takes constant attention, focus, and a willingness to fess up to my faults and change my attitude and behavior. It’s a work in progress. What B.S. beliefs about money are you holding onto? I’m guessing, as a musician, you might suffer from a similar limiting belief to what I confessed above. Have you bought into the idea that wanting to make money is selfish? In our social circles of “starving artists,” it often becomes a badge of honor to live a bohemian lifestyle on a shoestring budget. You may be worried that your friends would consider your increased wealth as a betrayal of unspoken artistic values. There’s a sense among the music community that we should be willing to sacrifice for our art. And if we don’t, we’re selling out. This is a difficult paradigm to break out of, but my hope is that you’ll do the deep and difficult work to free yourself up for a prosperous future. Here’s a story of a musician who did just that. My friend Tiamo De Vettori was stuck in that quagmire of being a starving artist. But once he made the powerful decision to break the cycle and stop blocking his own flow of money, his career immediately took off. Changing his entire outlook about money opened up so many new possibilities. He got creative and added several new revenue streams, including writing custom songs for fans, which he talked about in his Profitable Musician Summit session last year. Without Tiamo’s mindset shift about money, he would still be barely making enough income to survive. Even if a successful musician had handed him the strategies he now uses on a silver platter, without the internal work to overcome his limiting beliefs about money, the strategies would have been worthless. Adopting the worldview that money is a limited resource may be causing you to “hoard” gigs and fans. Being territorial and holding the resources you’ve built close to the vest will keep you playing small. You’ll miss out on the benefits of networking and collaborating with other musicians that would surely expand your exposure, grow your fanbase, and increase your income. Finally, maybe you’ve convinced yourself that you’re just “not good with money.” Therefore, in your own mind, you don’t deserve money because you’d just squander it or it would cause you turmoil. Because you don’t want to fail at managing money, you unwittingly block yourself from receiving it. Find a mentor who makes more money than you do and seek advice. Take classes on money management. Do the deep emotional work necessary to uncover the origin of the fear around money. Changing your deep-seated beliefs around money won’t happen overnight. Start with awareness. Then try to identify and uncover where these beliefs came from. Next, start replacing negative thoughts and attitudes with positive and productive ones that invite and attract money instead of pushing it away. Surround yourself with people who desire to make money for the right reasons and won’t condemn you for your new positive outlook on wealth. Finally, find a mentor who has a healthy relationship with money and has been successful at attracting wealth. This support system will keep you on track and provide you with positive role models. Now that your mindset transformation is underway, you’re ready to start making money from your music! Once again, head over to the Profitable Musician Summit 2019 to learn more and reserve your spot. Our community of Soundfly Mentors can help you set the right goals, pave the right path toward success, and stick to schedules and routines that you develop together. Whether you’re taking one of our acclaimed online courses or working with a coach on your project, the experience is like having a personal trainer for your music, with a series of musical workouts, a whole lot of feedback and support, and the chance to accomplish something you’ll be proud of.